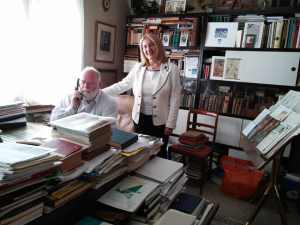 Combined with a meeting at the Policy Departmemnt at the EU Parliament,FIG President Potsiou met with the long term active FIG representative Jan de Graeve and saw his impressive collection of historical surveying material. FIG President Chryssy Potsiou was invited in Brussels on June 14 to give a presentation at a Workshop organized by the Policy Department D on Budgetary Affairs, at the EU Parliament, early in the afternoon. The presentation was about a comparative international research on the very sensitive issue of Land Expropriation legislation and administrative procedures applied in Greece, France and the Netherlands, for which Prof Potsiou was the scientific leader. The main purpose of that study, conducted in 2013, was to assess the efficiency of the Greek legislation and provide recommendations for further improvements and harmonization with good practice. Her current presentation was a follow-up to assess the legislative amendments since 2013 and provide new recommendations. On her arrival early morning in Zaventem airport, still under repair after the bombing earlier in 2016, President Potsiou paid a visit to our colleague Jan De Graeve, director of IIHS&M, who unfortunately could not join the Christchurch FIG conference, due to a medical problem, and informed him about the progress of FIG work by different commissions, task forces, networks and the prospects for the near future. 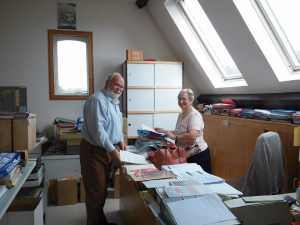 Jan showed his office where he works, mainly on valuation of real estate rights and expertise missions, alone, with his devoted secretary who works for him since 40 years. Jan has been active in history of our profession and joined a first meeting in Paris in 1978, where he brought the early pieces concerning the creation of FIG, gathered together with his colleagues Roger Schonaerts and Jean Mosselmans. 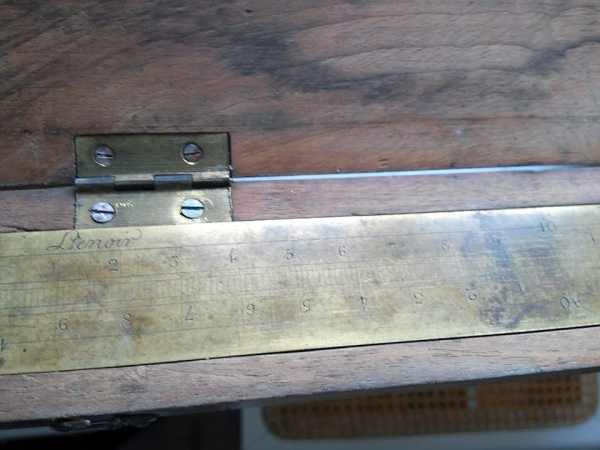 This trio had started in 1976 with a remarkable exhibition of historical artifacts to celebrate the100th anniversary of the Brussels association of surveyors UGEB, founding member of FIG, together with the associations of UK, France, Germany, Spain and Italy. Since 1980 in Montreux he has missed only very few FIG meetings and he created a commission “0”, when secretary of commission 1, in 1981 and this is called IIHS&M since 1994. 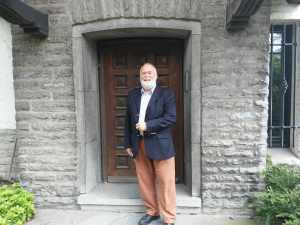 He proposed in 1994 to the general assembly to inscribe the Struve Geodetic Arc on the World Heritage List of UNESCO. The group worked in collaboration with the 10 countries concerned to present a final document, written by Jim Smith, introduced by the Finish delegation and agreed by all the ambassadors to UNESCO, during their General Assembly in Durban RSA, in 2005. 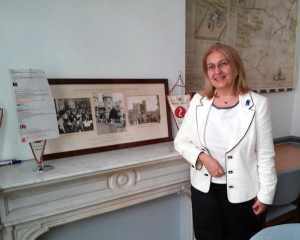 Jan explained that the enhancement of this first inscription by WHM over 10years ago has been proposed this May, to the director of UNESCO headquarters in Paris . This is the challenge for the 28 countries concerned from the North of Norway, over central Europe ,Greece and Crete to cross the Mediterranean sea and through east Africa to follow the 30th Meridian till Buffelfontein in RSA covering 105 degrees and so contribute to the figure of the earth; Research went on during the last 10/12 years to bring the documentation together, to translate the original Struve report (1857/60) of over 1000 pages into English. Now the country representatives have to meet and agree about the points to be inscribed on a tentative list to submit to WHM. Chryssy also had the opportunity to see Jan’s library devoted to historic books of surveying and applied geometry and browse through the early 1509 Paccioli edition of Euclid and others. 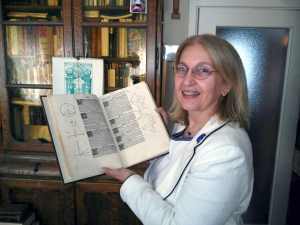 Jan actually reconstructs the scientific library of Gerard Mercator with original 16th century works and has also collected many original standard: Pied de Roy from France an original Meter by Lenoir, a copy of the Mètre de Breteuil and the comparator of professor van Swinden to convert the original measure in metric system, early 19th century in the 17 provinces actually Netherland and Belgium and many others. Chryssy and Jan paid a short visit over lunchtime to the house of the Surveyors Rue du Nord in Brussels where Eric De Keghel shared a working party on evolution of the real estate market. Chryssy introduced on this occasion the invitation to the Joint FIG/World Bank Conference on Sustainable Real Estate Markets-Policy Framework and Necessary Reforms to be held in Athens, Greece, in September 2016 to our Belgian colleagues. Jan was so kind to drive Chryssy quickly through Brussels, the Royal Palace, the House of the Academies, the three concentric ring roads of Brussels, the European Headquarters and some of the 14,000,000 m2 of offices around the European Parliament where he dropped her for her meeting.